Let UK Electrical Supplies fulfill all your plastic PVC trunking needs today and make huge savings. 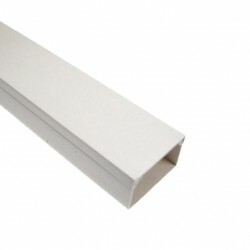 Our trunking is available in white mini and white maxi. The range includes couplers, angles, tees, socket boxes, stop ends and surface boxes.